Preheat a water bath to 181.4ºF / 83ºC. Vacuum seal the mussels with two lemon peels and four thyme sprigs. Cook them sous vide for 8 to 10 minutes, based on size. Once the time has passed, place the mussels in an ice bath and allow them to chill fully. Cut the bag open and reserve the mussels and any liquor from the bag. Combine the mayonnaise, dijon mustard, garlic powder, and lemon juice in a bowl and whisk the ingredients together. Cover the dijonnaise with plastic wrap and fill the bowl with a dense smoke using the Smoking Gun™ Pro. Allow the mixture to rest in smoke for 5 minutes. Repeat the smoking to you desired taste. Reserve. Over medium heat, sweat the shallot, garlic, fennel, and bay leaf. 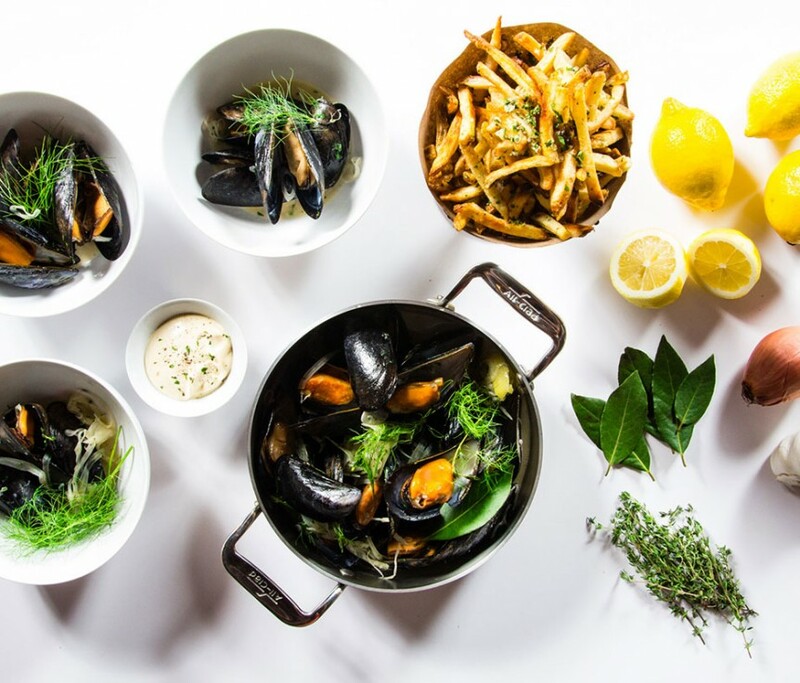 Once the aromatics are tender, add the thyme sprigs, lemon peel, mussels, mussel liquor, and Berliner Wiesse. Turn the heat to medium high and cover the pan. Let the mussels retherm for 2-3 minutes based on size. Once the mussels have rethermed, remove the pan from heat and add the butter, tossing constantly. 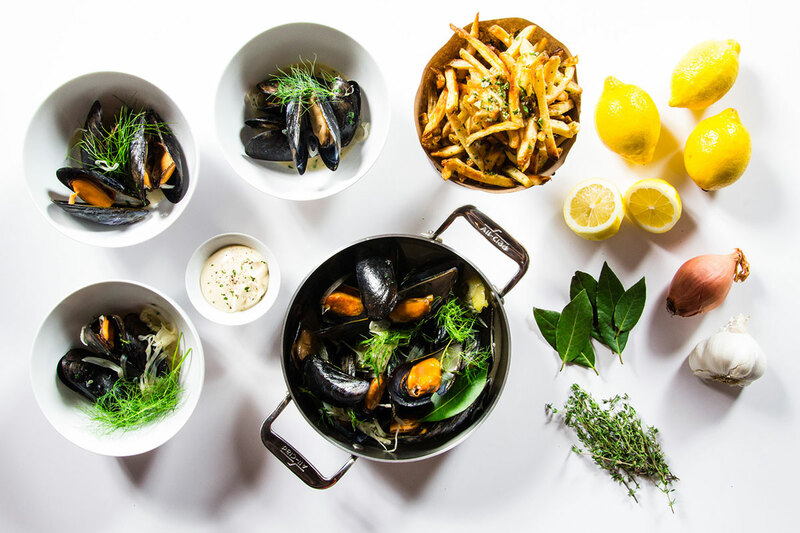 Serve the mussels immediately with parsley-lemon french fries and smoked dijonnaise.